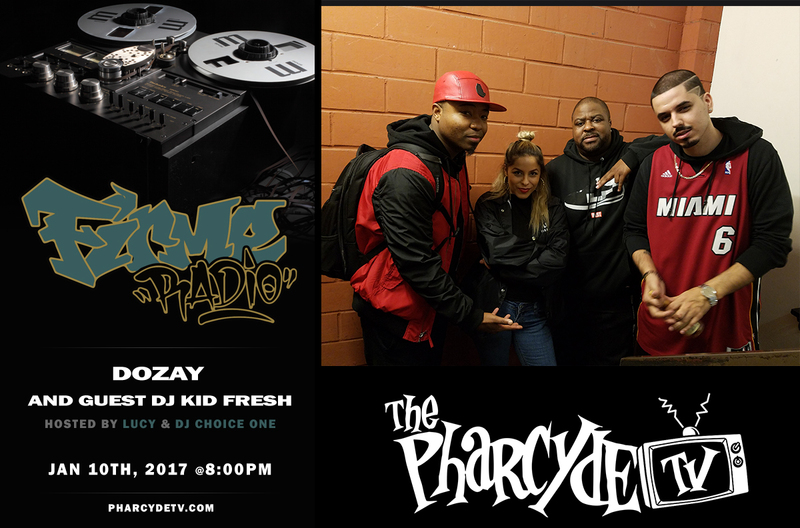 Hey guys if you missed Firme Radio last week with Dozay and DJ Kid Fresh don’t trip cause you can watch it tonight at 8pm PST on Channel Z.
Dozay came thru and talked about his upcoming project, we played some of hi music and he talked briefly about his “beef” with Hi-tone. Was there really any beef there?? Make sure you watch to find out. Also, DJ Kid Fresh killed his mix and we still can’t get over how dope he was. So check it out and let us know who you would like to see on the show next!